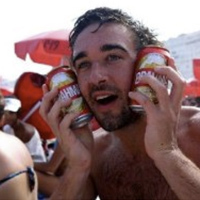 We all know that branding relates to the emotional relationship people have with your company. It’s how your customers and potential Clients actually feel about you and what you do. And it’s one of the main ways that businesses try to distinguish themselves from each other is by adopting corporate branding strategies. Client perception is vital to any business and you should never, EVER underestimate its power. Especially since so many people now have the tools and know-how to alter, undo, change and enhance brand perceptions. Usually by the simple click of a social media ‘send’ button! Despite best intentions, there still every chance that the effort you’re putting into building up your company’s brand is doing you more harm than good. Sadly, far too many companies plough their efforts into the things they think will raise brand awareness. Too often, they forget about the things that can so easily tear it down. A major part of building a brand is to tell people who you are and what you do. Yet talking only about yourself can come across as narcissistic and downright boring. It will most definitely switch people off in the end. I hate to break this to you, but people aren’t really that interested in YOU and what YOU do. What they do care about is what you can do for THEM; how your goods and services will benefit THEM and how it will make THEM feel. Shake up your promo once in a while and maybe try sharing news and ideas that show off your personality. Things that demonstrate your products and services in a more subtle way. Also try to make intelligent comments on trending news stories, threads or blogs that are relevant to your industry. Establish yourself as an expert in your field. OK … so we’ve all been there. At least once daily we trawl through an infinite number of Twitter, Facebook and Linked-In pages, casually swiping until something catches our eye. But how many posts catch our eye significantly enough that they compel us to ‘click’ to find out more? Not many I bet. Quality, relevant content is absolutely key. Your words should always match up to the brand you’re trying to create. and when others read your words or listen to you speak; they should be left with the impression that you’re smart, insightful and know exactly what you’re talking about. And when others read your words or listen to you speak; they should be left with the impression that you’re smart, insightful and know exactly what you’re talking about. Whilst lack of quality content can be damaging, over-posting of completely irrelevant content can be a recipe for disaster. And the search engines won’t thank you for it either! It still baffles me to this day why an accountant would re-tweet a post about plans to build a new runway 400 miles away from their business. 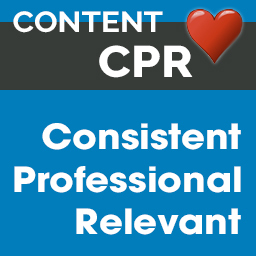 Remember the content CPR Rule … Keep it consistent, keep it professional and keep it relevant. Much of what I’ve talked about has been based on maintaining good ‘online’ brand relations, but it’s crucial to make sure that you balance this out with all of your offline marketing materials too. Consistency is key and both your online brand and offline brand identity needs to be regularly maintained and monitored in tandem. It’s no good having a fantastic all-singing-all-dancing website if your sales team’s price lists are out of date or your invoices have inaccurate contact details on them. A sure-fire way to damage your brand is to use unprofessional photographs, either in printed media, online and/or on social networking sites. Blurry, poorly lit, overstretched, pixelated images can look shocking and just give the impression of a half-hearted job. And let’s face it, if you’re lack-lustre in your promotion efforts, it’s fair to assume that your customers will think they’re likely to get a similar level of service too. And let’s face it, if you’re lack-lustre in your own promotion efforts, it’s fair to assume that your customers will think they’re likely to get a similar level of service too. Social media profile photos are ones to really look out for. These not only give an impression of your business brand, but also of your personal brand too. Practically anyone, anywhere in the world with an internet connection can access your Facebook, Twitter, Linked-In and Instagram profile picture; so it’s especially important to erase any content that contradicts the business image you’re trying to portray. Take a look at our blog post ‘is your profile photo ruining your image?‘ for hints and tips on how to get the best out of your social media what to do and more importantly, what not to do when protecting your brand. Hopefully, this goes without saying, but you should always read any textual content before it’s uploaded to the web or sent to print at least three times. Of course, we all make the odd mistake here and there. But consistent spelling and grammatical errors just portray a person as being uneducated, uncaring and unprofessional. Although many of us have automated spell checkers in programmes such as Microsoft Word, you’d be surprised how few people actually use them. A recommendation for a terrific online service is GRAMMARLY which not only checks spelling and grammar but looks at punctuation and international differences too. ← Is Your Profile Photo Ruining Your Image?